A brilliant collaboration between Architect – Battersby Howat, Designer – Nelson Design, and a group of craftsmen – the Hinterland Crew, this beautiful minimalist shack was completed from the ground up in just 5 weeks, including all site work, assembly of the prefab framing, mill work, cabinetry and finishes. 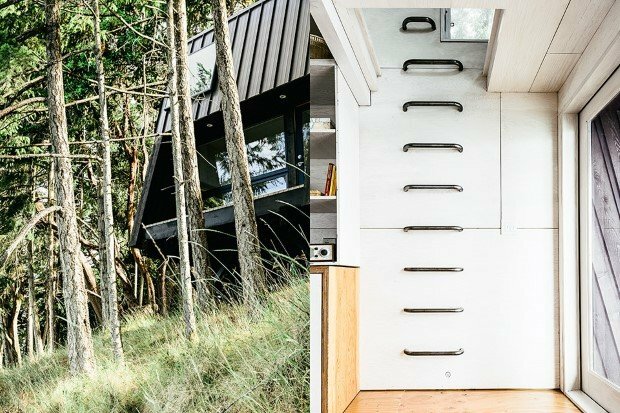 Sited at a serene hillside among Douglas fir trees, the shack is entirely off grid, powered by solar energy and depended on filtered rainwater for everyday use. 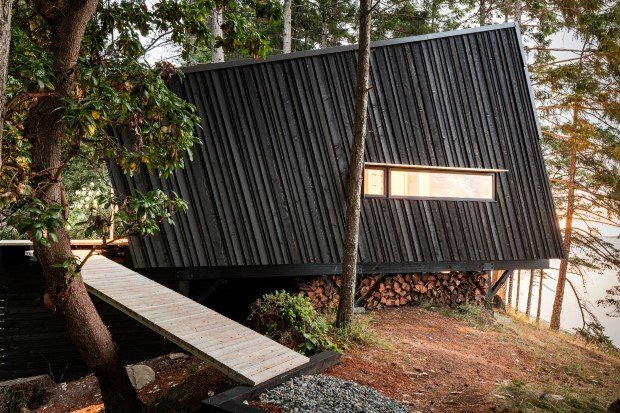 This simple getaway was conceived as a tilted box, with black-stained cedar siding running perpendicular to the roofline. 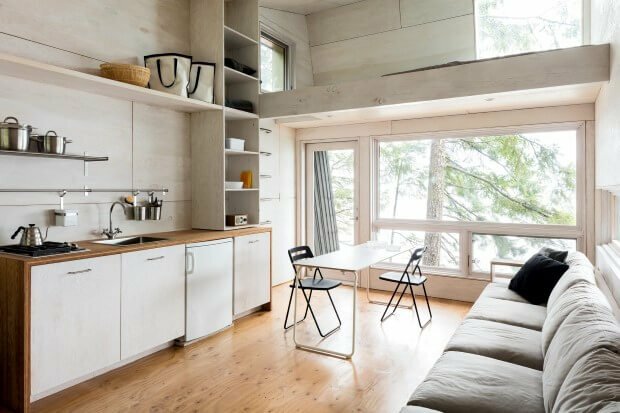 The interior is covered in saw-cut, white-stained plywood, with a long banquette on one side, a kitchen on the other, and a sleeping loft above. An outdoor shower and soaker tub perched on the edge of the hilltop to maximize panoramic views of the Strait of Georgia and the surrounding mountains. 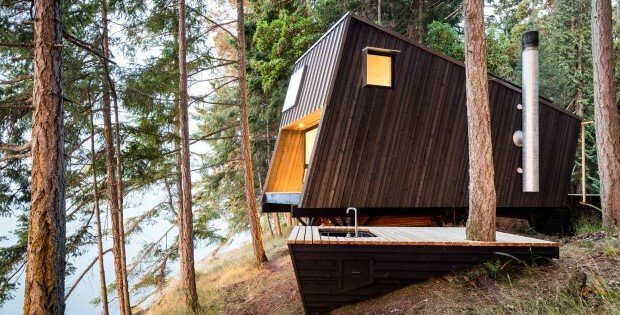 WHIMSICAL INVERTED BOAT HOME… TAKE A PEEK INSIDE!